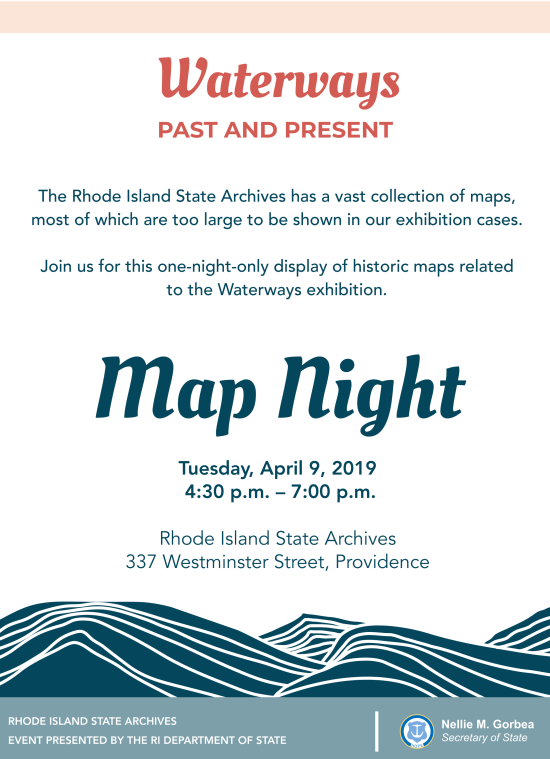 The Rhode Island State Archives has a vast collection of maps, most of which are too large to be shown in our exhibition cases. Join us for this one-night-only display of historic maps related to the Waterways exhibition. The Rhode Island Department of State engages and empowers all Rhode Islanders by making government more accessible and transparent, encouraging civic pride, enhancing commerce and ensuring that elections are fair, fast and accurate.